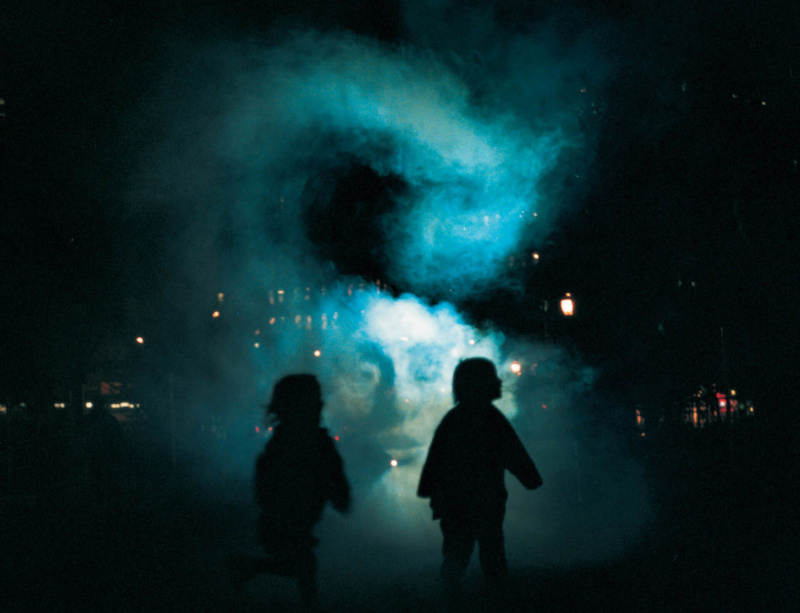 In his first exhibition in Scotland, Tony Oursler presents The Influence Machine, an immersive outdoor sculptural experience located in George Square Gardens at the University of Edinburgh. The project runs from 23 – 26 November, 7pm to 9pm. Described by the artist as "holographic model of human desire and dread", The Influence Machine captures the haunting atmosphere of magic lanterns, Victorian light shows, camera obscura and parlour tricks, while embracing the fully networked, digitally-assisted future of image and identity production. A graduate of Cal Arts in LA and pioneer of video art in the early 1980s in New York, Oursler specialises in hallucinogenic and radical experimentation, employing projection, animation, montage and live action. He draws on a wide research base including art history, parapsychology, scenography, anthropology, mimetic-technology, phenomenology and neuroscience.